Now up on NJRM.org, on our “Sounds of New Jersey” page, a very interesting interview of WHWH (1350 Princeton) co-founder Herb Hobler. Conducted by Big Jay Sorensen and Charles Blanding, Herb discusses NJ radio, his foray into WHWH, his ownership of WPST and cable franchises. Frank recounts the wonderful journey from his early days in small market radio to realizing his dream as a local TV news reporter and anchor in the nation’s largest market. Along the way he works beside all the great radio, TV and news personalities of the day including Don Imus, Alan Colmes, Howard Stern, Rolland Smith, Soupy Sales, Doctor Frank Field and many, many more. He also encounters the famous and the not so famous celebrities while being exposed to the news media’s oversized egos, laughable station owners and a collection of friends he could only dream of knowing. “It Shocked Even Us!” is a funny and touching romp through the local TV news kitchen where the sausage is made. A portion of the proceeds from “It Shocked Even Us!” will also go to the ‘Broadcasters Foundation of America’ which provides financial help to broadcasters in need because of critical illness, advanced age, accident or other serious misfortune. 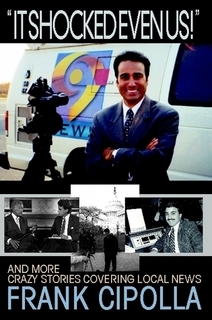 Frank’s book is available May15 with a promotional tour to follow including appearances on WNBC-TV, Fox Radio, “Better Connecticut”, WTNH-TV, WCTC-AM, WRNJ-AM and other TV and radio stations around the country. Even though it will be officially launched May 15th – you can buy it now! Click “Buy Now” for purchase. 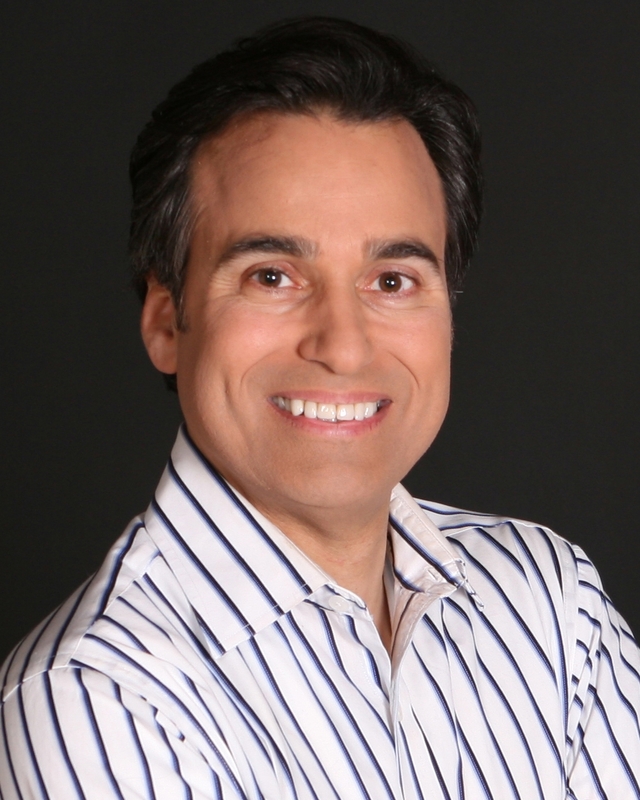 Frank Cipolla is an award winning news broadcaster who has been seen and heard on major market and network TV and radio for more than 30 years – most recently as an anchor and reporter at Channel 9 in NYC. Frank is currently an anchor at the Wall Street Journal Radio Network and is heard on more than 300 stations coast to coast. He lives in New Jersey with his wife. New Jersey Radio Museum (NJRM) has identified a unique, unprecedented project applying directly to the Garden State and its radio history — A New Jersey Radio Oral/Aural History. Following the trend of families recording their elders’ narratives of family history, NJRM representatives are now reaching out to record one-on-one interviews with the individuals who have made their mark in New Jersey radio as presenters (air personalities), newscasters, practitioners, technicians, developers of successful stations, as inventors or theorists whose ideas resulted in on-air programming that broke new ground or simply uniquely served the audience in the public interest, convenience or necessity. These recorded interviews will be archived with a growing library of airchecks of historic New Jersey radio events. The interviews and airchecks will become available on-line and at NJRM’s Dover headquarters at a future date. NJRM professionals are now reaching out to colleagues and individuals to expedite Aural/Oral History interviews. Those wishing to become involved with the project as interviewees or to recommend specific individuals are encouraged to contact us and will be granted the ability to post. A new addition to the NJRM website will be to showcase the sounds of radio in NJ. Our first recording is up with sounds from 1932-1994. Just pop over to the “Sounds of NJ” tab and enjoy. Thanks for following us and from our family to yours, we wish you a very happy and safe 2011. Big Jay Sorensen joins NJRM!!! With immediate effect, well-known WCBS-FM Air Personality and Broadcast Executive BIG JAY SORENSEN has confirmed his appointment as South Jersey Vice President for the Dover, Morris County-based New Jersey Radio Museum (NJRM). NJRM has become a labor of love for all involved, and will serve as a statewide repository for all things related to New Jersey radio, including hardware (equipment), advertising and promotional paper, program and engineering logs as well as recorded airchecks and interviews with radio figures of the past and present. Approximately ten years ago, NJRM had its genesis amongst a group of North Jersey radio veterans who perceived the fast-changing local radio scene, and wished to archive what had made the medium a great local/live resource over the years. Early on, the executive committee decided that their mission would be the preservation of radio from across the entire state. It is with great pleasure that the NJRM announces the appointment of nationally known Big Jay Sorensen as its South Jersey Vice President. NJRM Co-Founder and Chair Carl VanOrden characterized Sorensen as a highly knowledgeable, recognizable, well-liked, enthusiastic and creative radio idea man with the drive it will take to coherently pull together all geographical corners of NJ radio history, its people and places that have made it uniquely special to so many listeners who rely on their local stations for vital details in their daily lives. NJRM has, of late, been involved in building-in its headquarters on West Blackwell Street in Dover from which it hopes to display unique artifacts and conduct interviews and live demonstrations of what it takes to produce traditional radio programming without over-reliance on automated 21st century technology. The Museum has already conducted successful personality-driven theatrical fundraisers as well as road shows featuring classic broadcasts that were New Jersey based or themed, such as Orson Welles’ original War of the Worlds and Herbert Morrison’s WLS radio coverage of the Hindenberg disaster. As a longer-range goal, NJRM has hopes of encouraging young aspirants toward higher education through scholarships and broadcast-related career goals. The website, now under construction, may be found at www.njrm.org.